TXM Lean Solutions is pleased to be exhibiting at Stand 503 at Austech 2017 in the Melbourne Convention and Exhibition Centre between 9 – 12 May. Austech is Australia’s Premier Advanced Manufacturing and Machine Tool Exhibition. Austech is the only show specifically targeted at the metalworking, machine tool and ancillary market held in Australia. This year Austech will be run alongside National Manufacturing week, providing a huge range of things for manufacturing professionals to see and do. 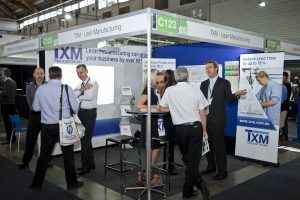 “TXM has featured at Austech for over seven years. The relationships we have built at the show over this time have helped us build a great understanding of advanced manufacturing, metal working and machine tool manufacture, which remains one of our core business sectors”, said Tim McLean, Managing Director of TXM Lean Solutions. This year TXM has taken a larger stand reflecting our growing national and global presence. The stand will also provide an opportunity to highlight TXM’s business networking venture, Best Practice Network. Leading advanced technology companies like ANCA, Form 2000 Sheetmetal, Resmed, Refuel Engineering, Hawker Pacific, Leica Biosystems and Toyota are already benefiting the unique learning and networking opportunities provided by Best Practice Network. Tim McLean, Director, TXM Lean Solutions said that he is looking forward to exhibiting among innovative industries and being in a trade show that demonstrates the latest developments in the Manufacturing and Machine Tool Sector. He hopes to contribute TXM’s considerable manufacturing experience to assisting advanced manufacturers to improve their operational performance through the application of Lean Manufacturing. TXM are Australia’s leading Lean Consultants with offices around Australia and globally. Apart from working with iconic Global and Australian companies, TXM has assisted many small and medium sized manufacturers (SMEs) to reduce lead time, increase productivity, reduce waste, improve customer service, increase flexibility and reorganize their factory layouts. 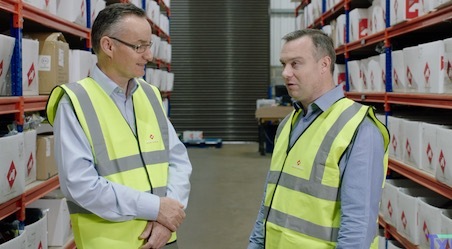 “TXM’s unique approach with SMEs has been particularly effective in the the advanced manufacturing sector, where we have been able to increase productivity by over 25% and reduce lead time by more than 50% in businesses we have worked with”, said McLean. “Most importantly, TXM is very proud to have helped unleash the potential of these businesses enabling them to innovate and grow”. Tim McLean’s earlier popular publication, “Grow Your Factory, Grow Your Profits: Lean for Small and Medium Sized Manufacturing Enterprises” will also feature on the TXM Stand. TXM Lean Solutions is looking forward to seeing you at its exhibition stand # 503 at Austech 2017.